As recently as 50 years ago, it was not unusual to drive from Southern California to Southern Oregon and see riders moving cattle or sheep across the golden hills. While the East Coast followed an “English” system for land use planning with ”townships”, California’s land use stemmed from Spanish land grants which gave title to individuals to own and operate “ranchos” for the primary purpose raising cattle and sheep. The boundaries of these “ranchos” became the basis for California’s land survey system, and can still be seen in modern maps. West coasters developed the once large cattle ranches and Spanish land grants into communities that maintained a California “ranch style”. A blend of Western and English riding disciplines came together offering both types of training at their community barns as well as trail riding and horse shows. The Southern California Lifestyle in the 70s conjured up images of riding, sailing, beach going, and enjoying outdoor activities. With the influx of affluent people desiring to buy “ranch homes” throughout communities including San Diego, Los Angeles and Orange County, these areas experienced tremendous growth in the 70s and 80s consuming what was left of the large Spanish ranchos. This trend resulted in the creation of small lot equestrian estates. Despite strong urban pressure, many of these horse communities have survived today thanks to the surge of equestrian planned communities in the 1970s, as well as restrictive land features such as landslides or faults which have prevented re-zoning and “in-fill”. Many of the Southern California horse communities have gained national attention for their affluent homes and lovely horse shows. 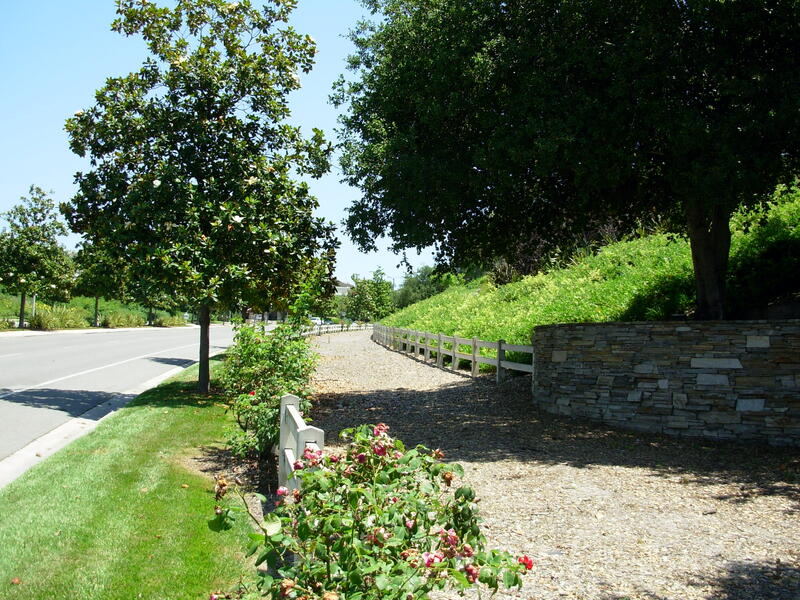 Some of these include Rolling Hills, Rancho Santa Fe, San Juan Capistrano and Coto de Caza. However, one community has clearly defined itself as an affordable “Horse Town” USA… that being Norco, CA. 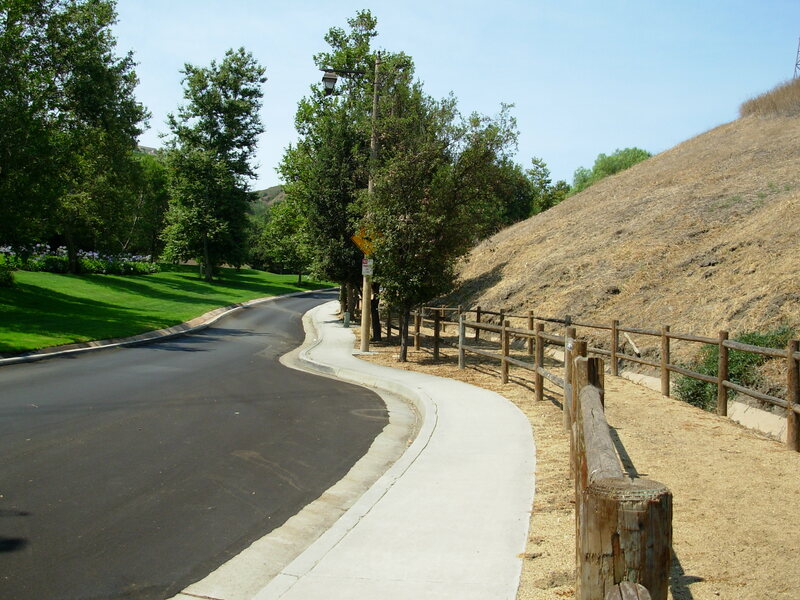 Located in Riverside County, Norco covers only 14 square miles but has over 100 miles of trails. Everyone from the mayor to the residents maintain a strong vision to keep their horse history and plan for horses in their future. Although having primarily a western town flavor, Norco offers a good equestrian planning model for urban development. With a strong and clear vision to continue to provide “animal-keeping and equestrian lifestyle in a city”, Norco will no doubt define itself as a unique equi-tourism town as they continue to develop and support equine events and facilities. Norco planner Steve King commented “Everything we do in Norco from downtown planning to residential planning is based around keeping horses.” While surrounding areas have small lots and big houses, Norco has 20,000 sqft. lot minimums with supportive building codes and ordinances all designed for safe and sustainable horse keeping. Their strong vision to create a horse friendly town has earned them the name “Horse Town USA”. And with only about 21,000 people and 17,000 horses, they deserve the name. Surrounded by higher density developments, other communities such as Thousand Oaks, Diamond Bar, Yorba Linda, Orange Hills, and Bridle Path have all fought to keep their equestrian roots. Horse trails blend with sidewalks and shopping centers in some cases, but urban horse communities continue to survive. Planners have found the horse folks “hard to get rid of”, as one planner in Orange County commented. When fires broke out in the Orange Hills, an unexpected but valuable benefit was realized when the equestrian trails provided much needed access to fire trucks and acted as a firebreak. As land prices, people, and property taxes increased, a natural migration to the north took place for many horse folks seeking a greater abundance of less expensive land and greener pastures for horses. Those existing Southern California horse communities protected by limiting land features such as earthquake faults or landslides remained and thrived. And horse folks being one of the most stable demographics, don’t move often, so housing prices have continued to soar for the limited Southern California horse properties. Along with vineyards, horse farms began dotting the hillsides north of the Los Angeles area including Ventura and Santa Barbara County. And many of the most prestigious equestrian estates in this area can be found in the lovely Santa Ynez Valley. What was left of the Southern California Coastal range and old Spanish Ranchos have been filled with mixed agricultural and equestrian facilities. Today, a new wave of equestrian estates are being developed along the central coast of California with equestrian master planned communities in the planning stages near Paso Robles, CA. Both Western and English equestrian lifestyles mix around the shared vision of keeping horses in pastures and having riding trails through the “golden hills”. Inland, east of the central Valley at the base of the Sierra foothills, equestrian planned communities continue to thrive as well as attracting retirees with horses wanting open spaces, trails and mixed recreational opportunities. While golf courses and equestrian activities jointly have been a common theme, some communities have combined boating, which draws a new blend of outdoor sport enthusiasts. Acting as a major north-south artery for California, the I-5 corridor serves equestrian communities to the east concentrating in the foothills around Sacramento and to the West all through the Bay Area extending north of San Francisco into the Napa Valley and south through Santa Cruz. Many land use planners in Northern California are well aware of the need to plan for and manage equestrian communities in their long range planning models. While landslides and earthquake faults have limited higher density urbanization of some horse communities in Southern California, water supply and watershed protection are key factors in Northern California as well as earthquake faults. The Bay Area, with high density housing in many areas, has retained private equestrian communities for their land use values. Offering land protection for wildlife, recreation, watershed, and visual quality, Northern California equestrian communities such as Walnut Creek, Danville and Woodside have fought to protect equestrian rights and worked with local governments to show the value of maintaining large lots and open spaces. Instead of moving, residents have worked to increase trails by working in collaboration with local, regional and state agencies to create inter-connective trail systems where possible, as well as maintained open spaces and parks. Trees and trails provide wildlife corridors in much needed congested areas. 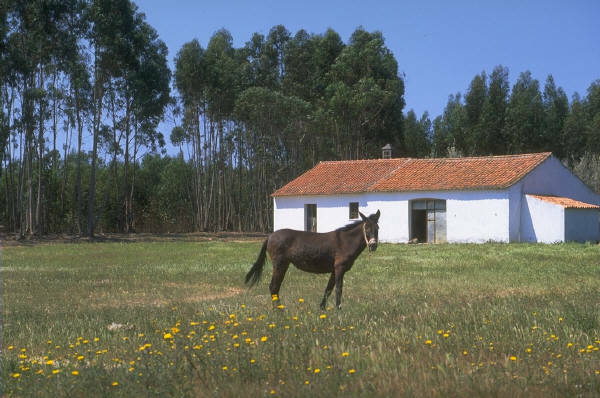 Thus, the horse communities provide a buffer between higher density neighborhoods and open space. Citizen groups have formed to protect trails and open spaces and worked collaboratively with both private land owners and governments throughout Northern California. Groups such as the Bay Area Barns and Trails provide small grants to groups for land conservation. Traveling north of the San Francisco Bay Area, many horse owners are leaving California and migrating to the northwest areas of Oregon and Washington, again seeking larger and greener pastures at affordable prices. And with all the northwest rain, they will certainly be greener, but will they be “horse friendly”? We will see.